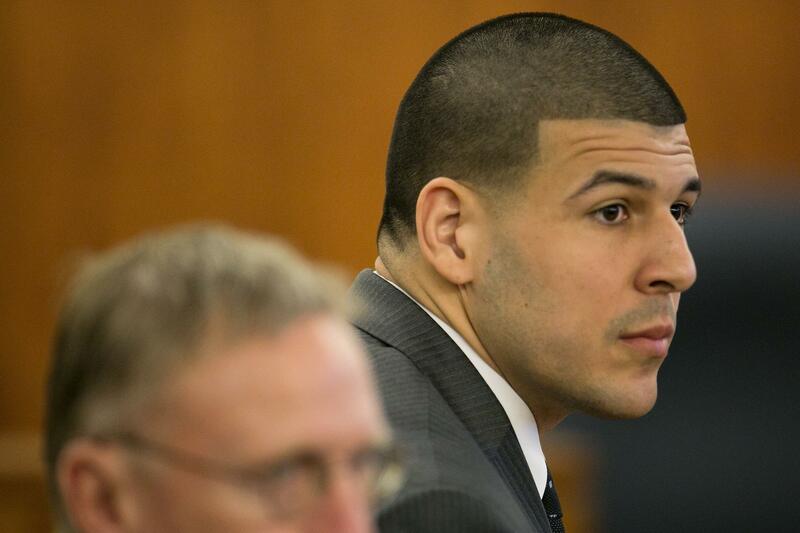 Aaron Hernandez guilty: First-degree murder, other charges. Aaron Hernandez in court on Wednesday. A jury in Massachusetts has found 25-year-old former NFL star Aaron Hernandez guilty on all counts against him, including first-degree murder, related to the June 2013 shooting death of acquaintance Odin Lloyd. The murder conviction carries a mandatory sentence of life in prison without parole. Hernandez also faces two counts of first-degree murder in the 2012 case.